GettyTheresa May has had a difficult week in Brussels. Theresa May should “take it or leave it,” the source says at the end of a difficult week for the prime minister. 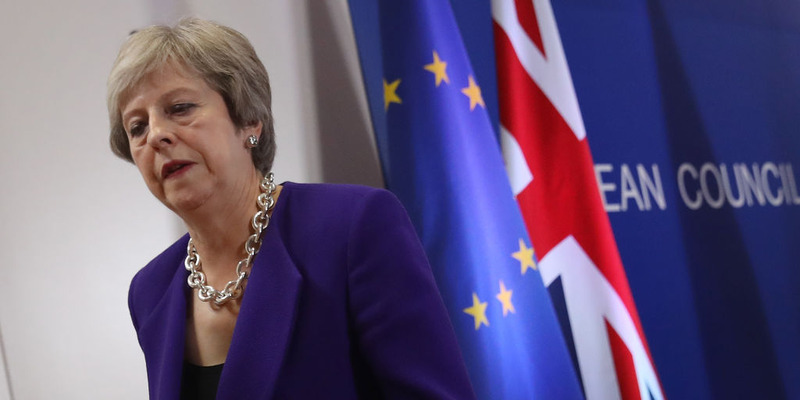 BRUSSELS, BELGIUM – The EU is not willing to offer Theresa May any further concessions in order to secure a Brexit divorce deal, a senior EU source involved in the negotiations has told Business Insider. “We’ve done all we can on this side. It’s basically take it or leave it as far as we are concerned,” the source told BI at the European Council’s October summit in Brussels. May’s offer, and the strength of the backlash, caught EU negotiators by surprise. But while the timing of May’s remarks about the transition came as a surprise, the substance did not. It is a long-standing, widespread belief in Brussels that Britain’s departure from the EU would take longer than the 21 months initially agreed between the two sides. “Brexit is a process, not an event,” a senior source in the European Parliament told BI. “Switzerland has been negotiating with the EU for years on one thing or another. Imagine what it’s going to be for the UK. It will be decades, a permanent negotiation. Switzerland has been negotiating with the EU for years on one thing or another. Imagine what it’s going to be for the UK. It will be decades, a permanent negotiation. The current impasse in Brexit talks hinges on the so-called “backstop” proposals designed to prevent a hard border between Northern Ireland and the Republic after Brexit. Under May’s version of the proposal, the whole of the UK would effectively stay in the customs union temporarily after the 21-month transition period has ended if no alternative arrangements have been secured. The latter suggestion is toxic for May. Even if unlikely to be used, the mere possibility it could be used is anathema to the Democratic Unionist Party which props up May’s government. 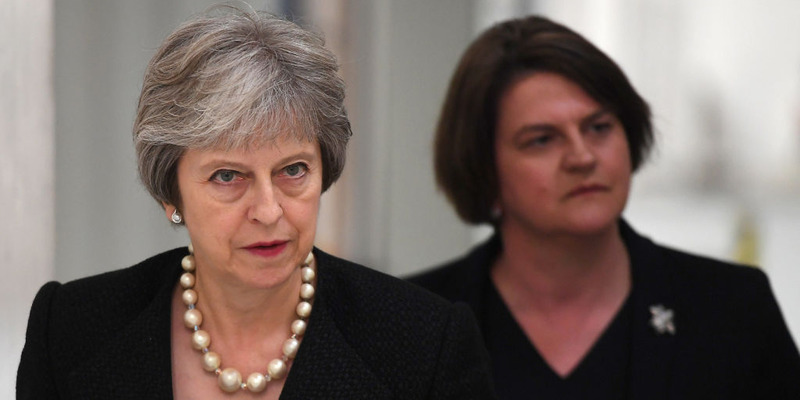 However, the feeling in Brussels is that May was always going to have to disappoint at least one major stakeholder – and it’s looking increasingly likely to be Arlene Foster’s DUP. European Commission officials believe May has already lost the support of the 10 DUP MPs in the Commons, and that any Brexit deal will need to get through Parliament with the support of other parties instead. “It’s clear on this side that the DUP will vote against it whatever happens,” an EU Commission source told BI. It’s clear on this side that the DUP will vote against it whatever happens. The aim of May’s UK-wide customs union idea – in addition to suggestions that the transition period could be extended to three years – is to make the Northern Ireland-only backstop less likely to come into use. “We are not going to negotiate a customs union in isolation, ” they said, adding that “a customs union is part of a much wider economic framework” to be negotiated once Article 50 is out of the way. Dan Kitwood/Getty ImagesConservative Brexiteers are threatening to oust the prime minister. Already the prime minister’s suggestion that the transition period could be extended caused an almighty stir in Westminster, with Conservative MPs openly calling for her to stand down. This is the litmus test for taking back control… this is the killer moment. This is a big deal for Brexiteers. 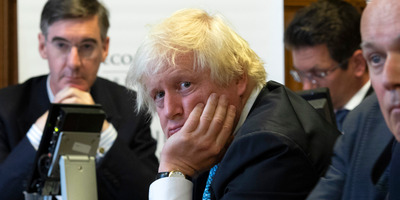 “This isn’t just one more little compromise from the prime minister to get a deal over the line… it is the litmus test for taking back control… this is the killer moment,” a Cabinet source told BI last week. Pro-Brexit Conservative MPs fear that if May’s preferred customs union backstop is signed off without a fixed end date, the UK could be trapped within the EU’s customs arrangements indefinitely, unable to sign new free trade deals. Significantly, and to the dismay of Brexiteers, May has pretty much accepted there will be no time-limit. That’s what she has reportedly told Ireland. Tellingly she refused to rule it out when questioned about it at her Brussels press conference on Thursday.